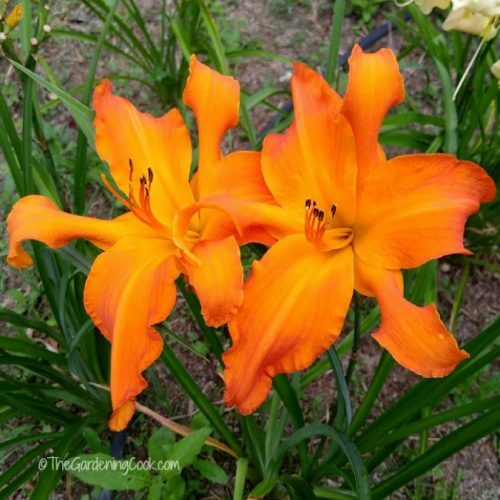 If you are fond of growing perennials, you really should try daylilies. They are one of my favorite perennials. 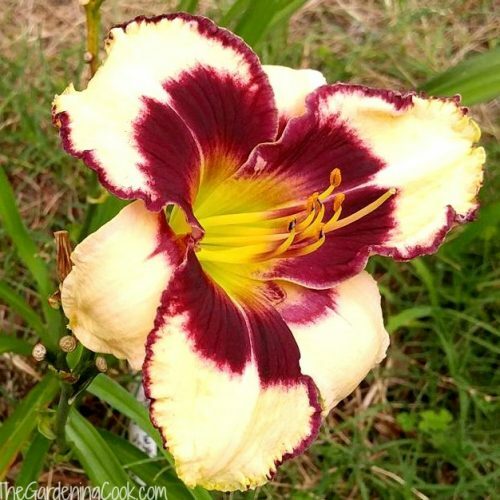 There is such a variety of bloom style, color and temperament. and they are very easy to grow. There are so many types that it is hard to know what you have in your garden. 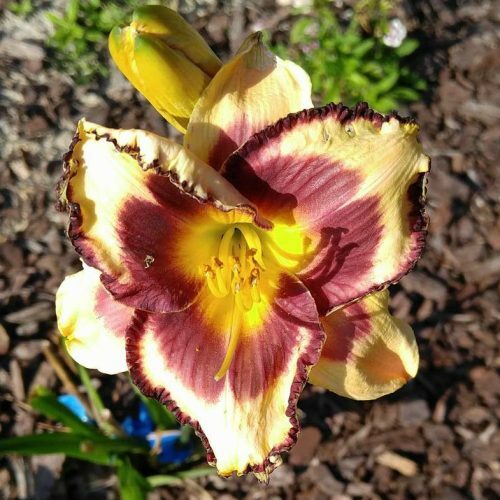 This daylily photo gallery should help you out. 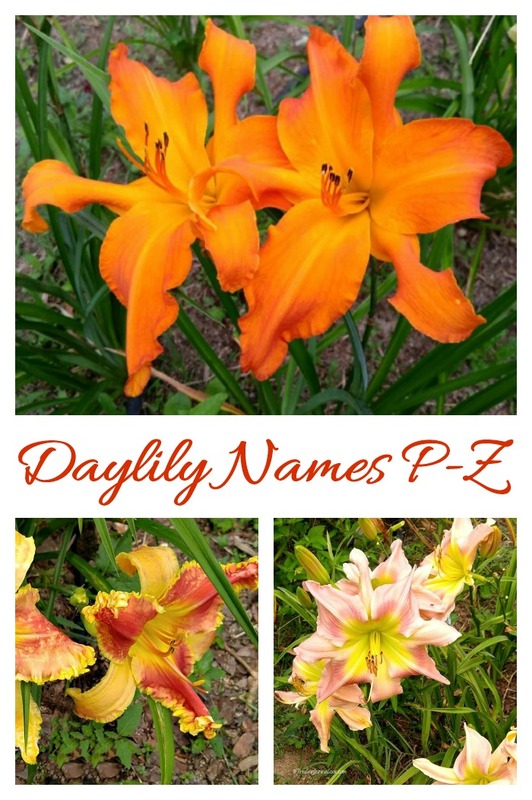 If you have ever wondered what the daylily that you purchased is called, check these out! 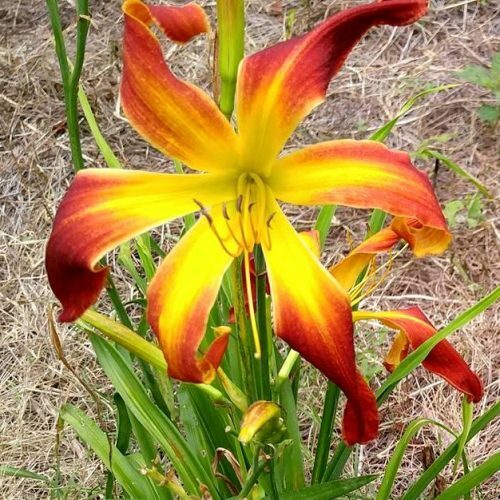 If you have ever taken day trips, I’m sure you have seen huge patches of yellow daylilies growing along the interstate highways. 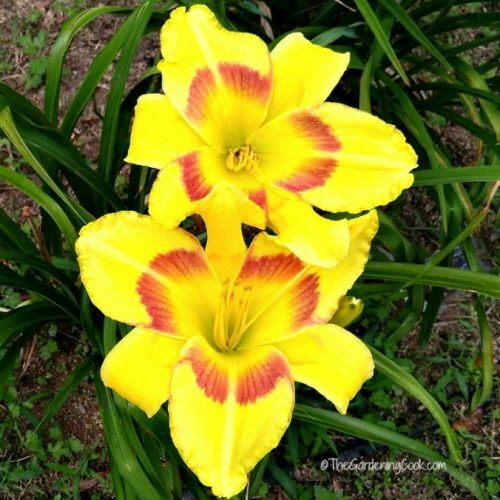 These Stella D’oro daylilies are the most common type of daylily available. But why stop there when there are so many more varieties to choose from? 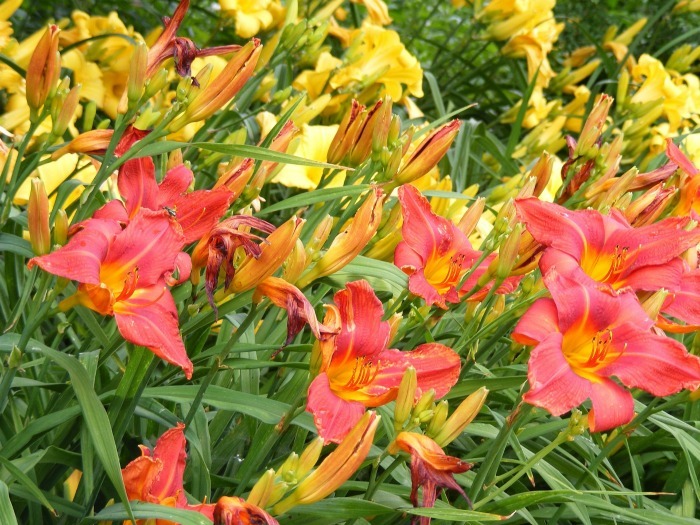 Daylilies are a perennial plant. 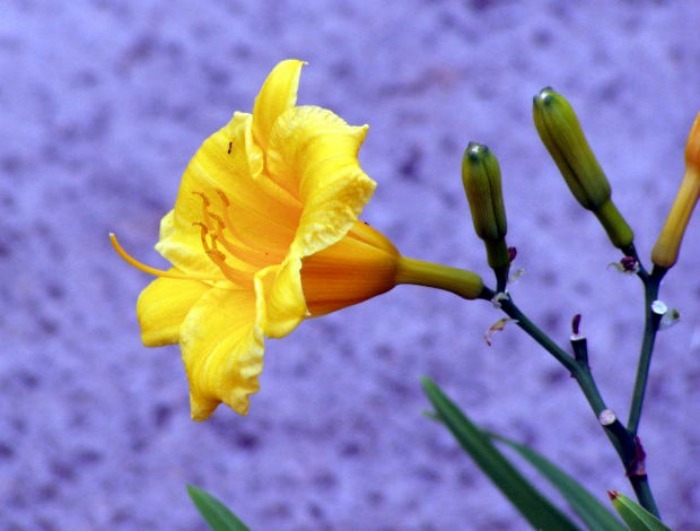 They grow from a bulb and naturalize to increase in size each year. 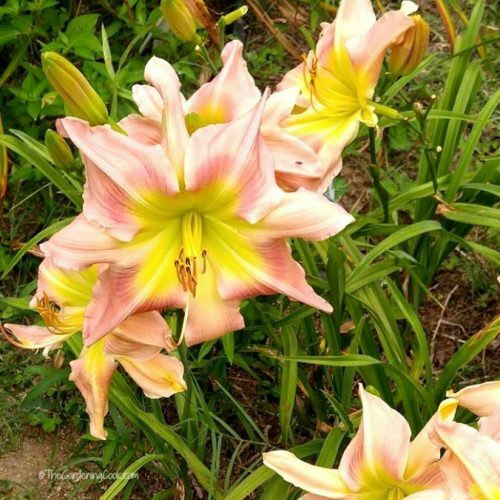 Once they have been planted and tended for the first year, they are very easy to manage each year and will give you a long bloom time in late spring and summer. 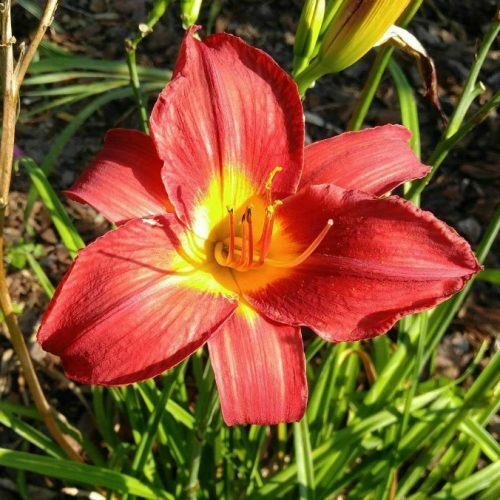 Daylilies are one of the easiest plants to grow. I have many colors and types in my garden beds. They come in many shapes from frilly double petals to spidery types. The bloom time varies from early to mid and late season. 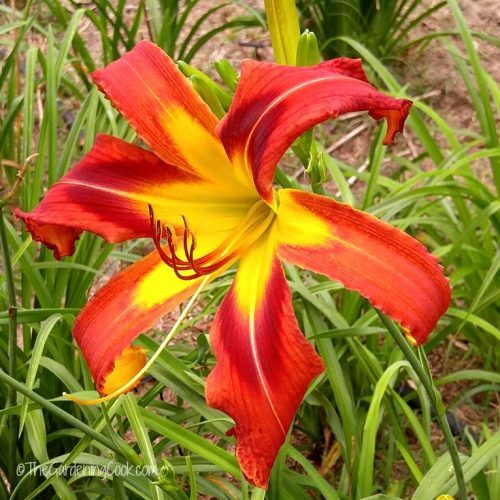 Some types will re-bloom for long lasting summer color. 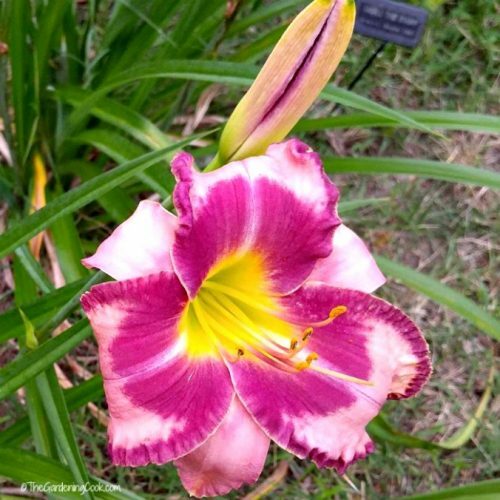 Even though each daylily is grown in much the same as the others, their colors and types vary widely, as this gallery will show. 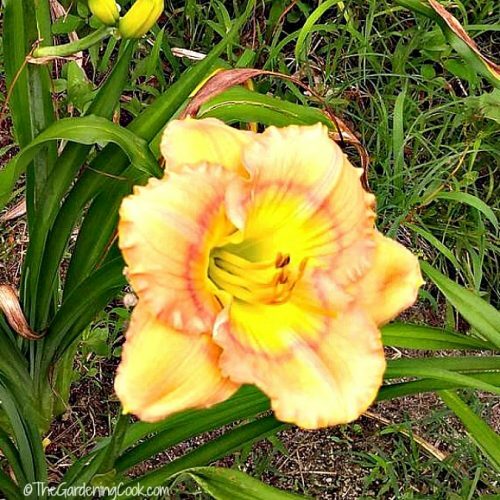 I hope that you enjoy this virtual tour of daylilies. 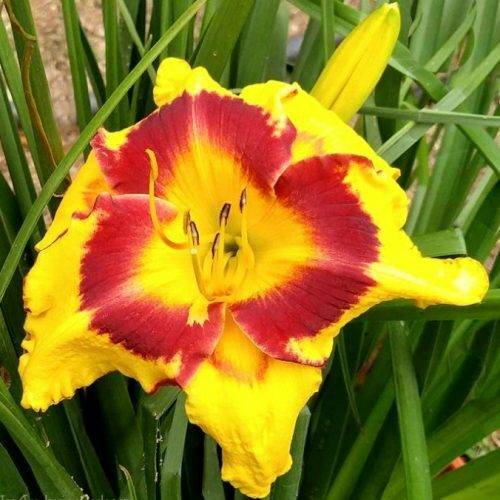 I would also love it if you would share photos of your favorite daylily variety along with the name. Just upload the photo to your comments and I’ll include it in my gallery with a shout out to you. 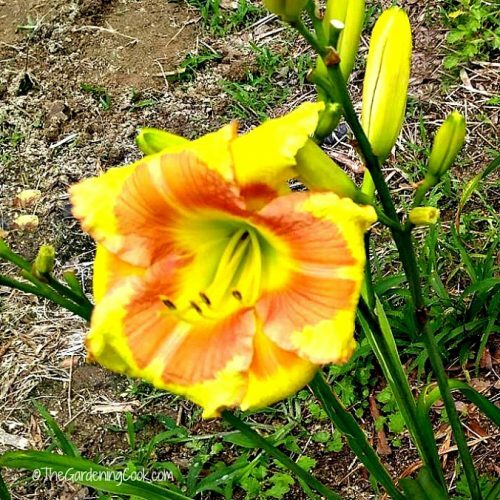 This daylily gallery is a work in progress. 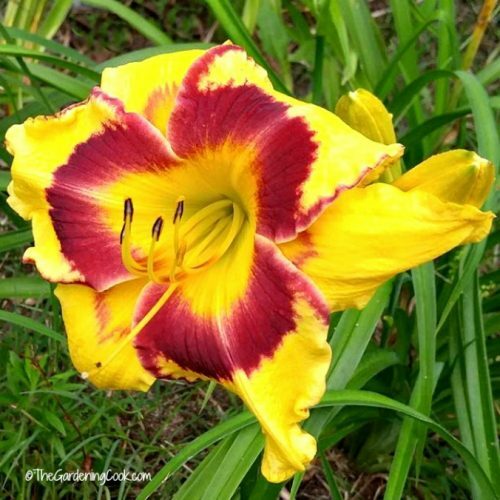 I’ll be adding to it periodically as I find new daylilies to label for you. Be sure to check back often to see updates to the page. 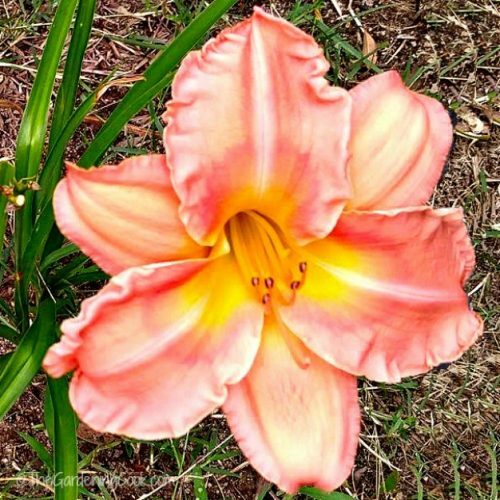 Grab a cup of coffee and have fun browsing through this daylily photo gallery. 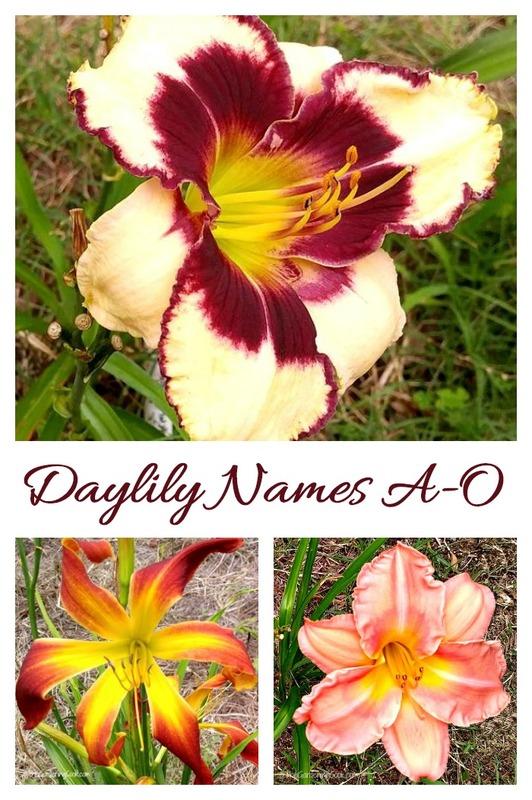 The first batch of daylilies have names that start with the letters A through O. Earth, Wind and Fire is one of my favorites. 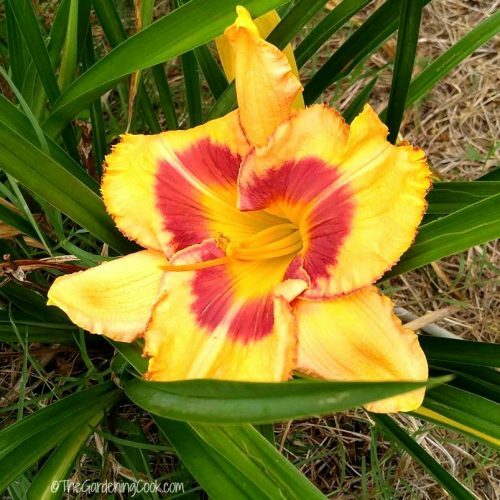 I love the curled petals on it! 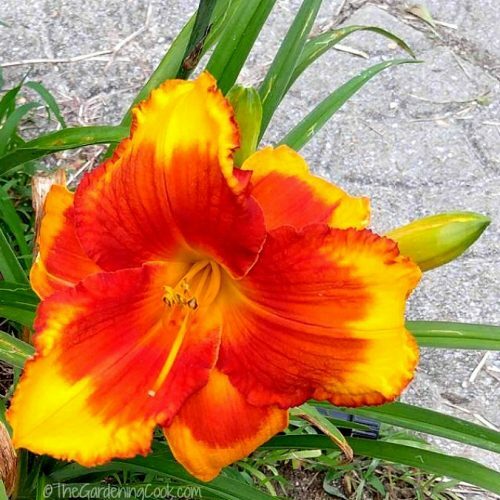 These daylilies have the names beginning with P through to Z. I have several of them growing in my garden right now. 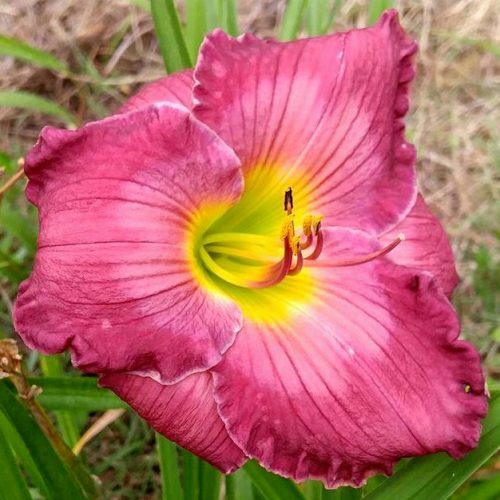 Red Vols is a Better Homes and Garden daylily of the year for 2000! 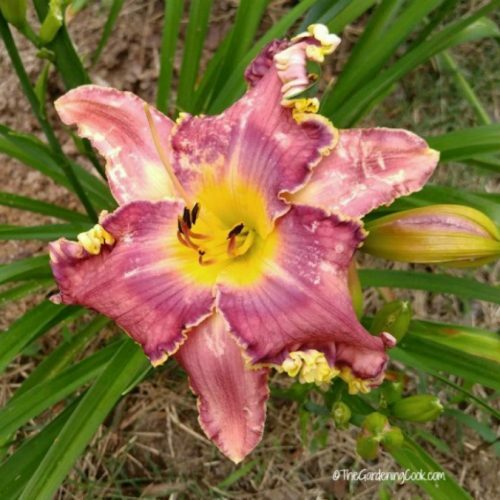 These images and the video in this daylily photo gallery are copyright of The Gardening Cook. Please do not use them without my written permission. 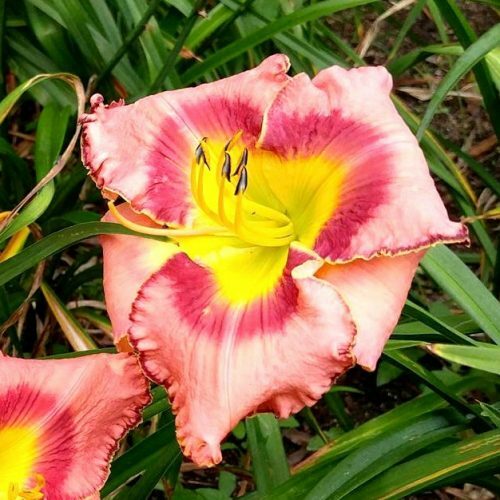 Absolute conditions depend on the variety, but as a general rule of thumb, follow these tips for easy care growing of daylilies. Sunlight: Full Sun. Will tolerate some light shade conditions. Soil: Well draining soil. Add organic matter such as compost when planting. Watering: Keep evenly moist the first year as the plant is getting established. After that, they can tolerate less water. Propagation: Best way is division after the third year to get more plants for free. 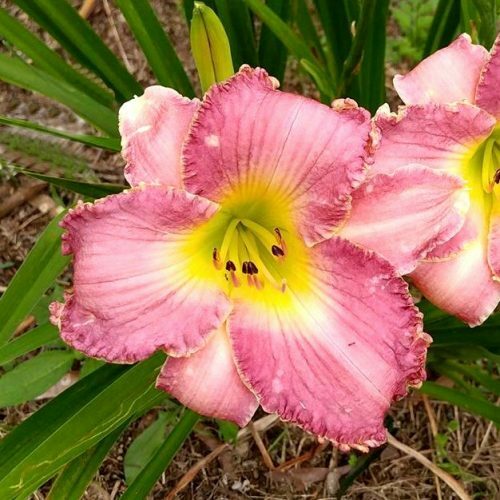 Bloom time: Early, Mid and Late season depending on variety. Some will re-bloom. Do you love flowers? 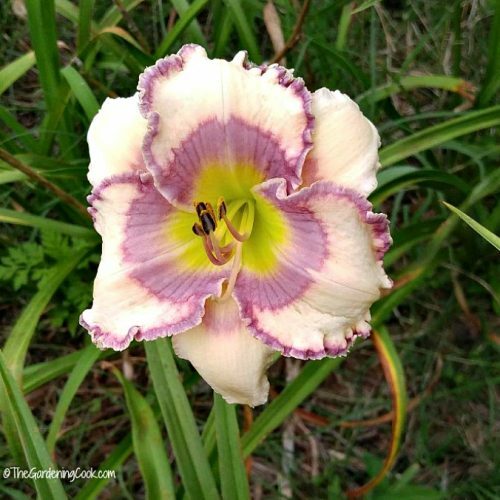 See my flower board on Pinterest for more daylily and other perennial favorites. 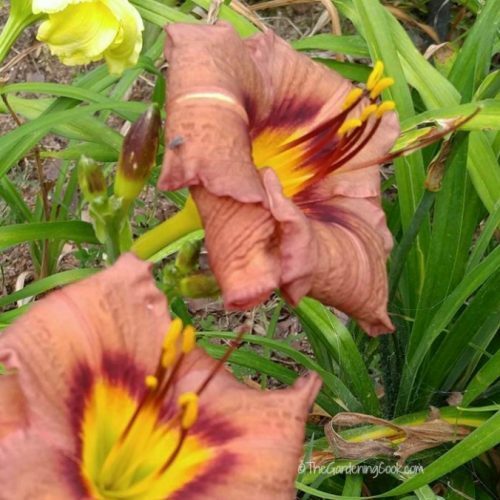 If you love garden tours, be sure to check out my post on the Daylilies of Wildwood Farms. It’s a great place to spend the day if you are in Virginia. 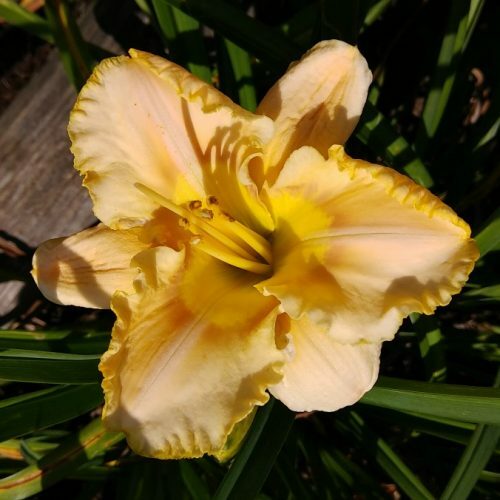 If you would like to be reminded of this daylily photo gallery, pin this image to one of your Pinterest boards for easy access later. Now I want to hear from you. 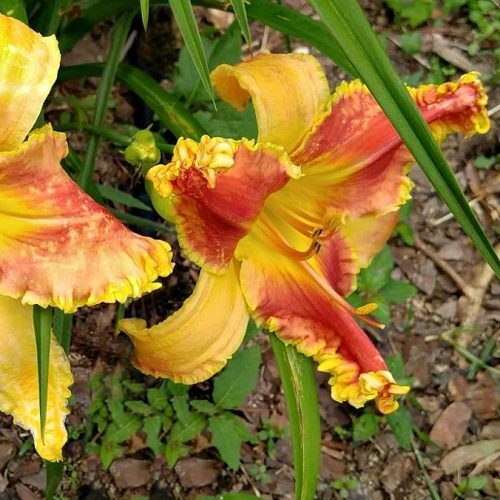 Which is your favorite must have daylily? Please let me know in the comments below. Admin note: This post first appeared on the blog in July of 2016. 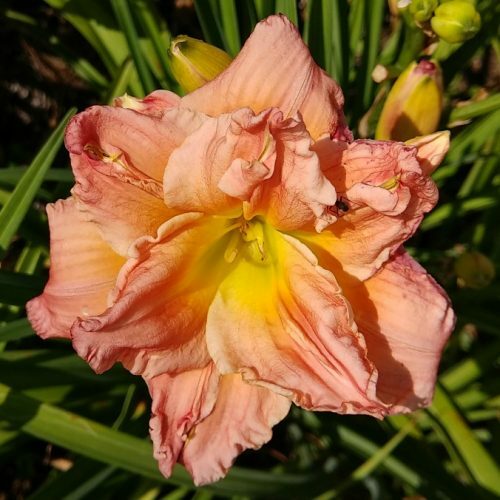 I have updated the daylily gallery to add several new named varieties for your gardening help. Thanks Kathie. 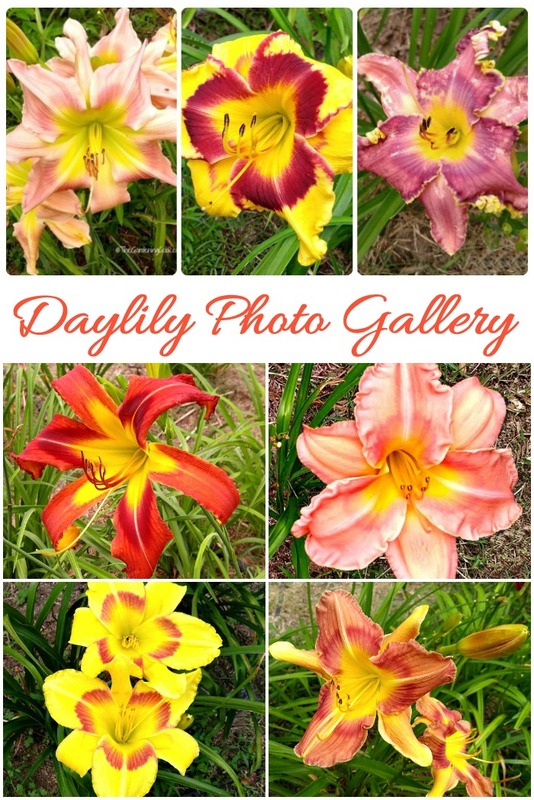 I had so much fun at the daylily farm taking all the photos and then researching all the names. I love this! 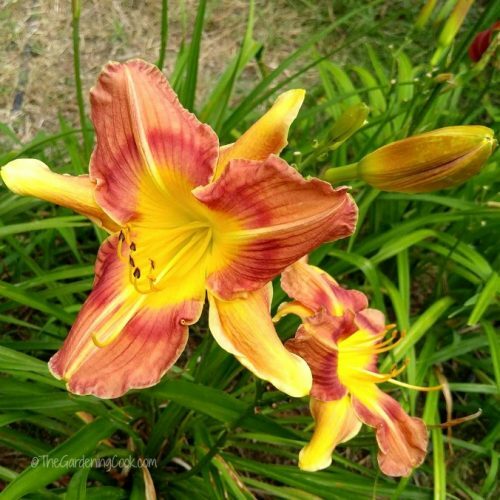 I’m a daylily addict. I have more on my wish list than I will ever have room for.